What are the Disney World ride and attraction closures for June 2015? If you are visiting Walt Disney World in June 2015 then it is important to know what the scheduled ride closures will be. Disney World has very few scheduled ride and attraction closures for June. This is of course a busy time at Disney World with school summer breaks starting in mid June for much of the US. The good news about this is that there are extended opening hours at the Disney parks and a minimal amount of scheduled ride closures – Disney tends to keep the rehabs for slower times. Pirates of the Caribbean is closed from 11th May until 25th September 2015. There are no scheduled ride or attraction closures for Disney’s Hollywood Studios for June 2015. 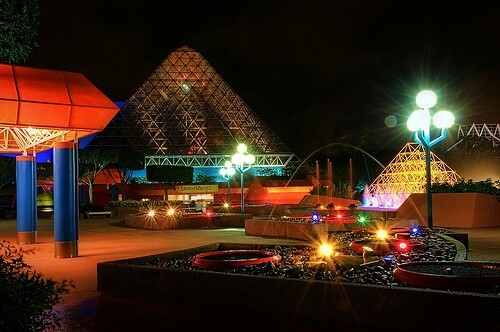 There are no scheduled attraction closures in Epcot for June 2015. Both Disney’s Typhoon Lagoon and Blizzard Beach are open throughout June. Although only Pirates of the Caribbean is scheduled for closure in June 2015 there will always be some temporary ride closures when certain attractions are not operating. Generally the more complicated the ride the more likely a short down time will happen. Down time is usually short though so you can experience the ride later on in your visit. Are you planning to visit Walt Disney World in June 2015? Which Disney rides will be on your must experience list?